Super approachable and refreshing, with the tropical funkiness we love about Jamaican rums. In a highball glass filled with crushed ice, add the rum, coconut water, lime juice, and simple syrup and stir to combine. 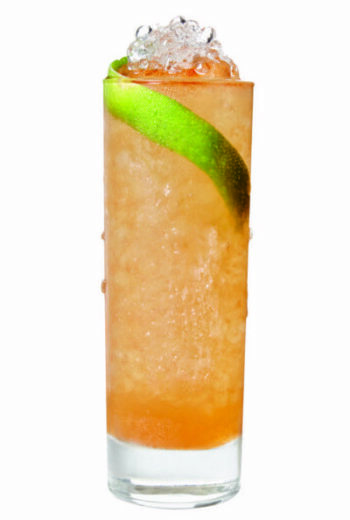 Add a mound of crushed ice, drizzle the bitters over the top, garnish with the lime peel, and serve with a swizzle stick. This syrup is more concentrated than regular simple syrup, so it allows you to add more sweetness and mouthfeel to your drink without watering it down: Combine 2⁄3 cup unrefined cane sugar and 1⁄4 cup water in a small pot over low heat, stir until the sugar dissolves, then cool.